This business provides furniture repair and restoration in service to commercial property management companies, retail and wholesale furniture vendors and manufacturers, guarantors of new furniture, and private residential customers. Most importantly, the franchise has a strong presence in the moving van line and Insurance industries. Our network of clients is well established and strongly patronizes our franchises in every location. Our unique products and processes enable much of the work to be done on-site resulting in reduced costs and time-savings for residential and commercial customers. Opportunities for furniture repair services are everywhere. Customers include homeowners, business owners, moving companies, hotels, furniture retailers, property managers and insurance companies-anywhere furniture or woodwork is found! Woodworking experience is NOT a must! The combination of our initial and on-going training, as well as access to our technical support staff, provide a strong foundation on which to build your business. If you are looking for a hands on business and to learn a valuable skill this is the business for you. This business can be operated as an owner-operator or with employees. Investment includes franchise fee of $29,900, Start-uo equipment and supplies of $13,000, Total Investment of $42,900. You should also have at least $15K in additional working capital to get your business started. 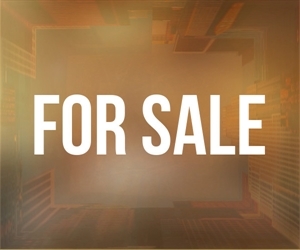 Interested Buyers must provide: Full Name Mailing Address Phone Numbers Email Address Your information is kept confidential and we will respond quickly. Location and Facilities: Can start from home but eventually may add a repair shop for extra difficult repairs needing special equipment or extra time. Support/Training: Woodworking experience is NOT a must! The combination of our initial and on-going training, as well as access to our technical support staff 24/7/365, provide a strong foundation on which to build your business. Market Information and Position: This franchise is the largest furniture and wood repair and restoration company in the world. Many large national accounts gives you a running start. Easy to expand sales in existing territory through additional staff. 80% financing available with $8880 down to qualified applicants. We can also help unlock your 401K funds without penalties.